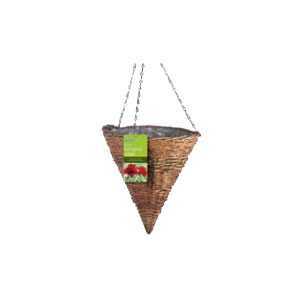 Gardman Rustic Hanging Cone. Natural basket on a strong wire frame. 3 point galvanized chain with 'S' hook attachment. Pre-lined with a plastic liner. Natural rattan.